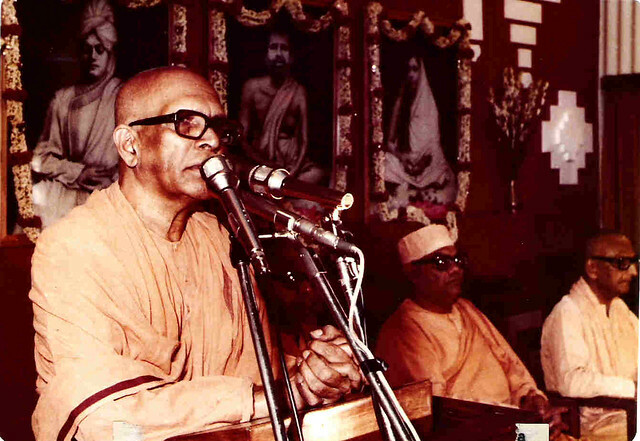 Swami Vandanananda was born as M. A. Narayana Iyengar on 5th November 1915 at Bangalore. His grandfather Sri Narayana Iyengar was a devoted disciple of Holy Mother, who took sannyasa in later life to be known as Swami Srivasananda. He was initiated by Swami Vijnananandaji Maharaj in 1937. 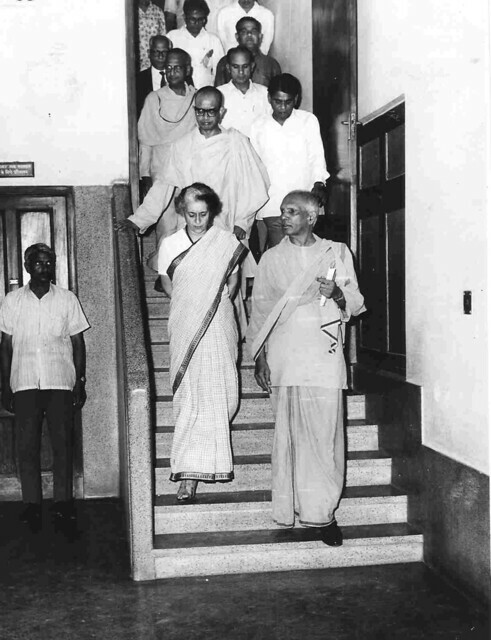 After graduating from Madras University, he joined the Ramakrishna Order at Mayavati Ashrama in 1938. Swami Virajanandaji Maharaj initiated him into Sannyasa in 1947. He was the Editor of Prabuddha Bharata from 1950 to 1954. In 1955 he was posted to the Vedanta Society of Southern California, Hollywood, USA, where he served as an Assistant Minister till 1969. He was appointed the head of New Delhi Centre in 1970 and a Trustee of the Ramakrishna Math and Member of the Governing Body of Ramakrishna Mission. In 1973, and also served as the head of the Mayavati Ashrama for one year from 1976. 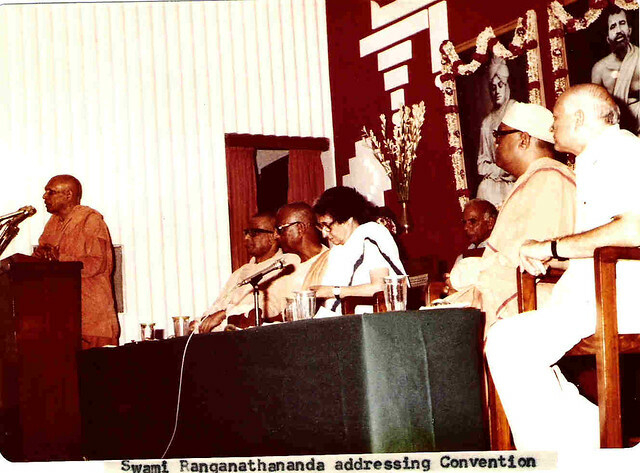 In 1977, Vandananandaji Maharaj was made an Assistant Secretary of Ramakrishna Math and Mission at Belur Math and then as General Secretary in 1979, in which post he continued till 1985. The Swami’s erudition and intellectual abilities, combined with excellent communication skills and affable manners, won him the love and respect of many. He was a forceful speaker and was also known for being punctilious in the discharge of his duties. After relinquishing that post of General Secretary, the Swami spent a few years at Kankhal, Dehra Dun, etc. and then returned to Belur Math, where he stayed till the end. Vandananandaji Maharaj passed away on 22nd Feb’ 2007 at the age of 91 at Seva Pratisthan. 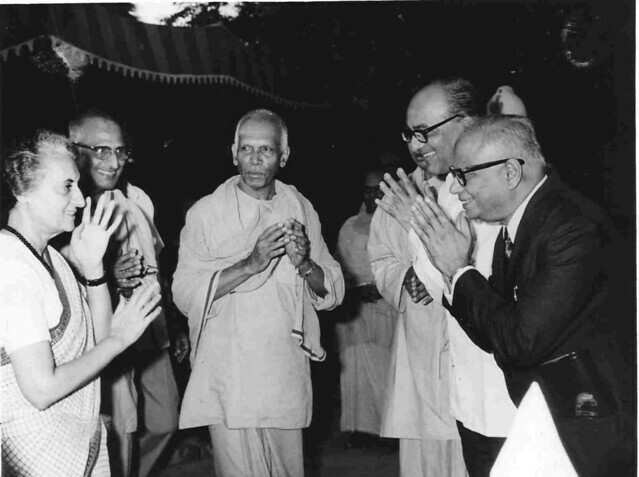 Some photos of Swami Vandanananda ji at Ramakrishna Mission, Delhi on various occasions.